He regroups with his old band, from which he's already taken a ton of material and repurposed it for Iced Earth, gets the original IE singer back, and releases a song with the same title as one of the more iconic IE tracks...it's just so bizarre. That said, I do really like the song. Gene sounds great, 1000% better than his debut performance. Between the verses and the wailing I get a kind of Ghost-meets-King Diamond vibe that really works. I immediately enjoyed this more than any Iced Earth song since The Clouding. Jon has his own studio now, so why not record a few songs with old friends. I wouldn't be opposed to a full album with this lineup, could be fun. Redemption time for Gene Adam as a vocalist, at least. Yeah it wasn't too bad. Felt a little more doomy than most IE stuff. Definitely. I'd be very open to that idea. It would also give Jon some time off from IE and maybe a refresh on his songwriting. Ok this is awesome. I love how you can hear elements of other Iced Earth songs in there. It gives you more context for how those later songs came to be. This song by itself is great though. It's like a lost classic IE track. Way better than any of the unused material heard on Days of Purgatory. Even better, the vocals and production sound great. It's like a mix of Stormrider, Burnt Offerings, and Horror Show. Awesome combination and, if the rest is like that, this EP will be the best thing Schaffer has done since the 90s. I really hope he does more with this group. 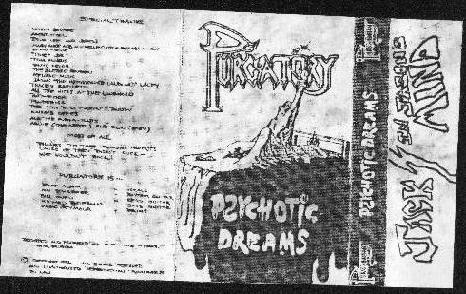 I guess these titles are the original, old Purgatory titles. With a connected to the lyrics in these old songs. He reused the titles later in IE but now he (and Purgatory) stick to the old authentic stuff, titles included. Because this material has older origins, and the different music, I can see these as very different things. Would be weird to give the old song a new title. Less authentic. Way better than any of the unused material heard on Days of Purgatory. There was just one song, previously unreleased: Winter Nights. 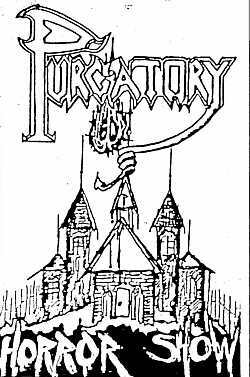 Ok well that happens to be the best of the bunch, so I really want to hear more Purgatory stuff. Apart from the recently deceased bass player Richard Bateman. Of course, demos also exist. Here are the pre-Iced Earth (album) works. Info mostly taken from metal-archives, YouTube comments and a few other sites. Please comment if you like. Did I miss something, do you know more of a certain release or line-up? I'll add links to sound (vids on YouTube) later. * does this mean they were also recorded over the years? Or were they (all) re-recorded in 1989? I have only heard Haunted House so for me it's too early to know. *Haunted House surfaced on a bootleg compilation called Enter the Realm of Purgatory. Interesting. He's been posting in the FB group, so maybe they just didn't get to do one him with him yet. If you and others would like to check my previous post, I'm most confused about the Purgatory bass players. According to metal-archives Abell and Bateman rotated! I sure would like to know more about this. I added you into the Pod Cast In Stone FB group, you can ask them there. Dave Abell responds there too. Excellent, thanks. Will do (hopefully tomorrow, perhaps later). Probably! There are plenty ex and current members in that group, including Barlow. I think Ripper Owens and Richard Christy never responded to the podcast invites, but most of the ones they contacted did. 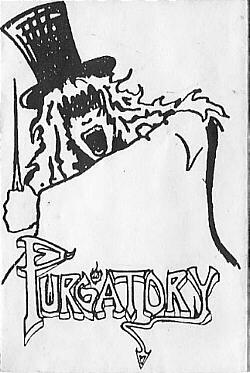 Today we bring you an interview with the one and only Greg Seymour as we talk about the early days of Purgatory, recording the Enter the Realm demo and remembering the late great Richard Bateman. This one with David Abell (Iced Earth & Purgatory; 1986 - 1996) was a big pleasure to listen to. Very informative, honest and interesting answers. Loved the stuff about Burnt Offerings and Dark Saga. I like Burnt Offerings even more now. Shocking and tragic news concerning Richard Bateman's death (Bateman was the first Purgatory bassist). MrKnickerbocker and Forostar like this. Easily the worst lyrics to any song Jon Schaffer has ever been a part of, but the music is really good. Sounds like Classic IE (because it is). I wish the newer IE material would go back to having vocal melodies like this that lay nicely in the song without overstepping their bounds or trying too hard. However, once again, these lyrics are re-goddamn-diculous.